The former manager of Enfield business that was shut down for operating Internet sweepstakes games has been granted special probation on charges related to illegal gambling. Stephen Scott has six months to complete the state’s accelerated rehabilitation program for first-time offenders and his record could be wiped clean. Scott will be required to perform 10 hours of community service and prohibited from engaging in any illegal or professional gambling between now and Jan. 15. If he abides by the conditions set, the charges against him will be dropped. Along with the Mouse Pad Business Center and Tech Solutions in Enfield, sweepstakes games were also available at the Bloomfield Business Center in Bloomfield and Internet Connections in East Windsor. 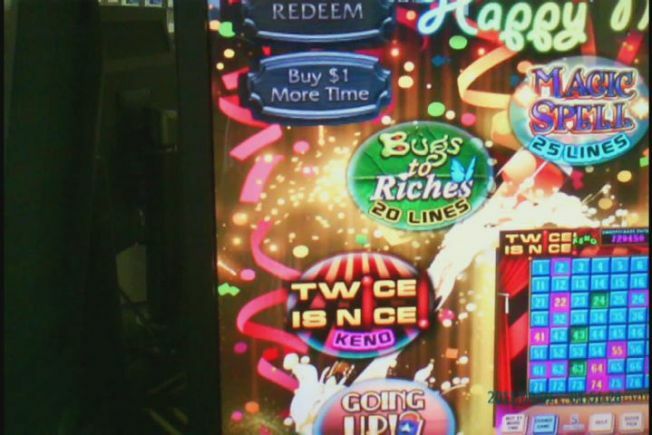 The investigation revealed dozens of people, mostly senior citizens, playing slot-style video games to win money. One day after the NBC Connecticut Troubleshooters investigation aired, State Sens. Joan Hartley and Dante Bartolomeo held a press conference to announce a bill that would ban Internet sweepstakes café-style businesses from operating in the state. Scott turned himself in the next day to state police in Hartford on charges of illegal gambling, operating gambling devices and illegally maintaining a gambling premises. By phone today, Scott’s attorney questioned why his client was arrested in February for operating Internet sweepstakes when the state hadn’t passed a bill to ban these games until May. The ball was included in the state’s 300-plus page Budget Implementer Bill. The state House and the Senate both passed the bill in the waning minutes of this year’s legislative session. Active arrest warrants are pending for two out-of-state residents associated with the Bloomfield Business Center. Bloomfield police say the accused are aware of the warrants but show no signs of getting ready to turn themselves in.